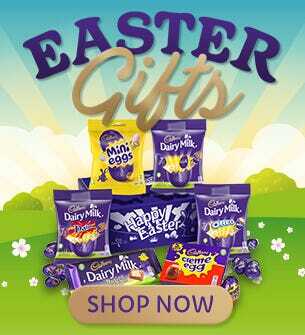 Cadbury Gifts Direct have a wide selection of Heritage Chocolate Gifts to choose from. Make it an extra special occasion with Cadbury. Cadbury Heritage Gifts include Cadbury Heroes, Roses and Dairy Milk. We also have an extensive range of Cadbury memorabilia, including our classic Creme Egg VW Van. Choose from a range Cadbury Heritage Jigsaw's and chocolate covered biscuits all delivered direct to your door. Perfect for friends and family.